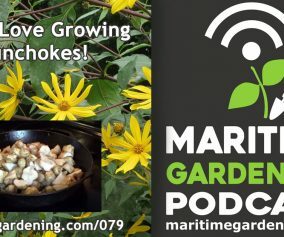 In this episode I contrast the notion of “hobby gardening” with that “food gardening”. If you are the type of gardener that seems to want to grow a little more every year – you’re a food gardener! 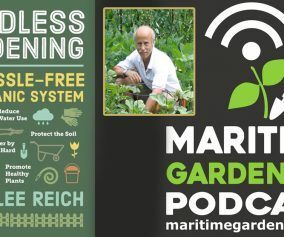 If that’s you, listen in and I’ll share some tips for how to get the most out of your land! 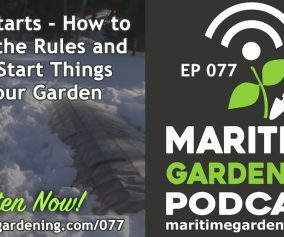 » General Gardening, Podcast » 053 : What Kind of Gardener Are You? 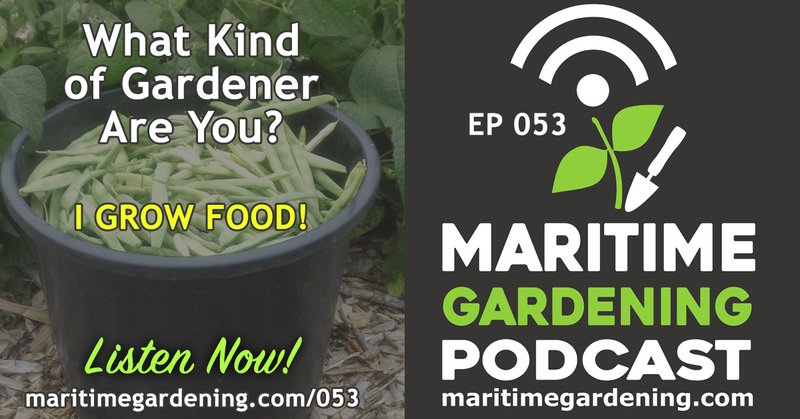 9 Responses to 053 : What Kind of Gardener Are You? Hi, I enjoy following your stuff, partly because your climate isn’t too far off of mine; I live in the open, windswept and wet north of The Netherlands. You mentioned Scotland and Norway in this broadcast – those are countries on the Atlantic, made warmer by the gulf stream. Scottish coasts and lower areas are climate zone 9. I lived there for 15 years, Scottish summers aren’t much, but winters are reliably mild, and palm trees are growing naturally on the west coast – planted by humans, but with no risk of frost they’re doing fine, all the way up to the furthest north-westerly point of mainland Scotland. A good example of a cold European country would be Denmark; fairly northerly, lots of water around, so rather a sea climate than a land climate, but too far off from the Atlantic to enjoy a warm gulf stream effect. Possibly you are more like Denmark where you are – I didn’t study a heap of data, but I believe I’m making a reasonable guess here about which European country makes a good comparison with your growing conditions. But you’re pronouncing a word like ‘about’ like a Glaswegian, so not all Scottish connection is lost! I still call myself a hobby gardener. I’m also not trying to become fully self-sufficient; I’ll not keep animals, I’ll not make my own bread from self-grown grain and all that, as that would be way too much; just with veg I try to grow my own. There will be flowers in my garden, they have important uses, they have lost ground due to intensive farming and for just the veg I eat I don’t need that much space. Your 50 by 50 meters for veg could supply more than a few households, I’m guessing. Keep up the good work, I hope I didn’t throw you off with my comments, I like your gardening techniques and style of broadcasting. Thank you so much for your thoughts. You are right – I meant “like” Scotland/Ireland in terms of being rainy, windy, and maritime. Certainly its colder here, and probably more like southern parts of Sweden/Finland/Norway, and Northern Denmark. Iseem to be picking up more and more fans from that part of the world on my youtube channel for sure. The winters here are cold and damp – like Denmark from what I hear. While it can get to -20C here in winter, it can also rain then freeze again. Very strange and inconsistent place! Funny you should mention my accent – it’s actually pretty mild for the region. There’s a range of different accents in NS – some are so bizarre they are incomprehensible! 🙂 Anyway, so glad to hear you liked the topic. I was worried that not everyone would be interested – but its something I think about. If I could do it over I’d use different terms – like hobby gardener vs subsistence gardener – better categories for the thrust of the conversation. Anyway, perhaps I can revisit the topic in a year after giving it some more thought. Anyway, thanks for writing – all the best to you! Hi Greg! What a great topic! I’ve only recently stumbled on a few of your YouTube videos, and from there found your website and podcasts. 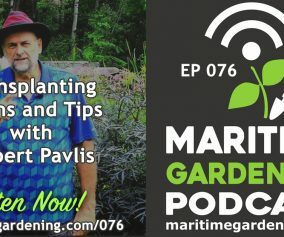 The topic helped me immensely to classify myself and ask the hard question “What am I really doing out there?” If I want to be brutally honest with myself, I really have to admit that I have been a hobby gardener with a secret desire to become a food gardener. I’ve always found it fascinating to think that we have the ability, if we so choose, to produce a good portion of our own food. In fact, if the entire world lived this way, could you imagine the abundance of food that could be produced for everyone to share? For me, the biggest barrier to becoming a food gardener has been the time commitment – as I have tried to garden around my other life commitments. 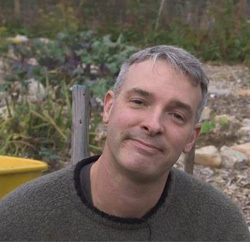 Your videos, and way of gardening, however, gives me a sense of renewed hope that there is a way to garden with less labor that is also highly beneficial to the soil. I find myself once again looking forward to the spring! Thanks – I wasn’t sure if that topic would resonate with the listeners, or if I even did a good job of articulating my thoughts on the matter, but I think I at least started the conversation, and its nice to hear that others are contemplating the same thing. Great to read of your renewed inspiration, and yes, its totally doable! Good luck and keep in touch! – g.a. First a short response to Daniel, who said “…hope that there is a way to garden with less labor that is also highly beneficial to the soil,” I think it starts with being good for the soil – if the soil is good, then gardening becomes less laborious. So yeah, do look forward to spring, but perhaps don’t do it with arms folded! Unless the ground freezes, of course, but I do find the tail-end of the year a time of constructive gardening work that I’m starting to enjoy more as well. Looking at your last vids, Greg, your winter is definitely a lot colder than mine here in the north of The Netherlands. We barely got frost sofar. But an awful lot of rain, and the winds! 30 Mph is our average windspeed, but we’re well above that most of the time. At the height of our short summer our average temperature is some 16 C°, with still a lot of wind, and growing something like tomatoes is out – it works fine in more southern and more sheltered areas of the country, but not in the open north. So weird enough I find myself myself concentrating on cold climate things like garlic and haskap more and more, even without much winter cold here. I’m guessing it’s still cold enough in my region for plants that benefit from a cold spell, like garlic and strawberries. Climate is weird thing; describing it in just a few words for a certain place will often not suffice. Hi Greg, Great topic! I really agreed with your point that sometimes we just need a better vocabulary to talk about hings easily. I now know that my wife and I are definitely ‘food gardeners’ wit many of the same objectives that you have. We too are in Nova Scotia on the Eastern Shore and have found many of the same things that you talked about (eg bush beans vs pole beans). Keep at it, these are informative and entertaining listening. As you have said above, our Nova Scotia climate is an odd challenge and highly variable (both from year to year and place to place). We have the strong Gulf Stream influence like Ireland, Scotland and Norway) that would put us in fairly high climate zone, but get the cold arctic air masses in the winter which can give very cold conditions and pull our climate zones down a couple of zone from where they might be otherwise. Living on a small island on the Atlantic coast, we find the mass of cold water around us keeps things cold in the spring and our garden may be 2-3 weeks behind gardens just a couple of kilometers inland in the spring. But we get that time back in the fall when early frosts will have killed the inland gardens and we get a further 2-4 weeks of production due to the summer-warmed water keeping things cozy at night. The result is that efforts to extend our shoulder seasons have provided little success in the spring but pay off huge dividends in trying to extend the fall season a bit further. We are typically harvesting greens and other vegetables (especially the tougher ones like kale, collard or Chinese broccoli) right until Christmas or later. I really like your points about growing what works in your particular situation and growing what you eat. So meany people don;t think about that and wind up trying to give away a big surplus of stuff that they don’t really like to eat – just like your kohlrabi example. Hi Calum – thanks for you comments! It’s nice to know it’s not just me 🙂 You’re right about the later fall! Not sure what I prefer – probably the earlier spring – I fell like I had far fewer pest probs when I was inland – but there could be many reasons for that I suppose. Recording 1st episode of season 3 this week so stay tuned – it should be up this weekend! Thanks for all your thoughtful comments! Yes it’s crazy and seems so unfair that someone living 15 minutes away can get things to come in a week or two earlier. You just have to work with what you’ve got – or move I guess. Neither are ideal solutions for sure. Doing a lot with various plastic enclosures this spring. Will probably get a video up on YouTube this week on that topic so stay tuned. And I’m so glad you agree on that final point. I think so many people get frustrated when they have to throw stuff away or try (often in vain) to give it away – but really the problem is usually that they planted too much of something, and not enough of something else!